Because of its large reactor diameter, the new Xpose UV-C has a long exposure time to UV-C radiation. 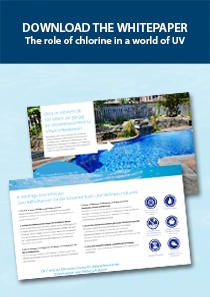 Ideal for swimming pools where a high disinfection efficiency is needed. 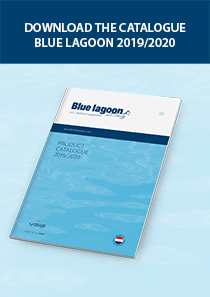 Blue Lagoon introduces a new high quality UV-C TL unit in 30 and 55 watt. The purifier has a large reactor diameter for a long exposure time to the UV-C radiation. Besides that, the Xpose UV-C has a special water guidance inside the house for an optimal exposure. Your pool water will be disinfected efficiently, safely, and the quality of your water will remain excellent. The special water guidance inside the house will also guide the quartz sleeve for easy replacement. The purifiers have splash waterproof rubber end caps for fast lamp (re)placement. The unit can also be mounted in the opposite way. The position of the inlet and return (left or right) is therefore free to choose. The Xpose UV-C has a complete PE reactor, what makes the device perfectly suitable for chlorinated and saltwater pools. The inlet has 2 x 1½” female threaded connections. The remaining opening will be used for the supplied transparent plug as lamp indicator. The Xpose UV-C comes with hose tails 25/32/40 mm. The reactor is grounded for human and pet safety. Diameter in-outlet Ø 1 1/2″ fem. thr. 1 1/2″ fem. thr. Download manual Blue Lagoon Xpose UV-C (pdf, 3,5 mb).